Rome's coliseum is to Arles' amphitheater as a football stadium is to a basketball court. But this one is better preserved than its more famous counterpart. 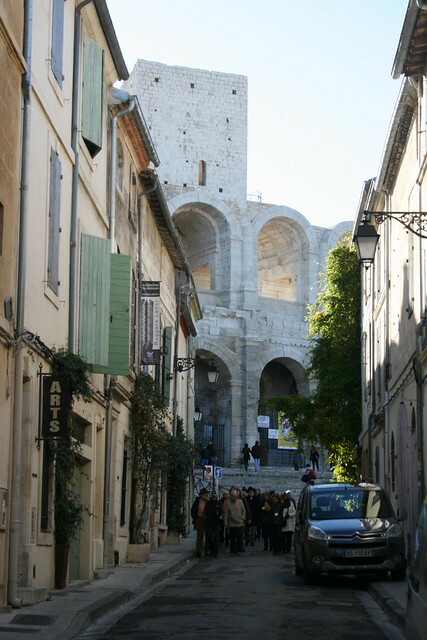 Situated on the east bank of the Rhône river, the quaint town of Arles has two claims to fame: a series of relatively intact Roman ruins, and serving as the temporary home of Vincent van Gogh, who produced over 300 paintings and drawings in the two-year period that he resided there. As per the Roman stuff, it was pretty bizarre to see how casually the modern French town absorbed the ruins; the café we stopped at for lunch was just across the street from the coliseum. In addition to the arena, we also hit up the Roman theater, crypt, and museum of ancient history, which boasts an impressive collection of artifacts whose texts, unfortunately, are pretty much all in French. To commemorate the late Dutch painter, the city erected easels at the sites of his most famous paintings. Diehards can do a self-guided walking tour/scavenger hunt to track down all of them, but the one I cared about most was Café Terrace at Night. 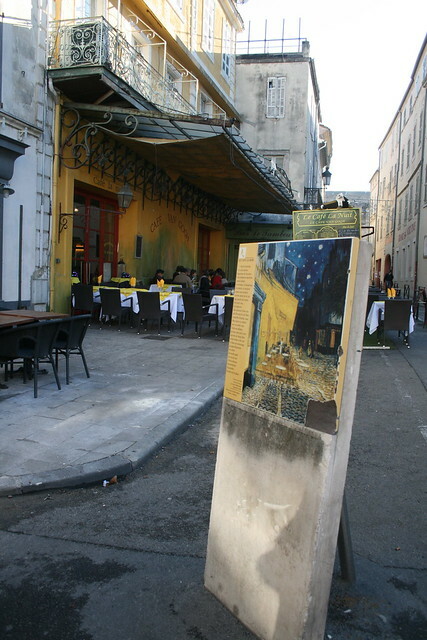 The artist painted it in 1888 near the old Roman forum, and today the café operates under the name van Gogh. But between antiquity and the late 19th century Arles withstood other cultural shifts, the evidence of which still stands. 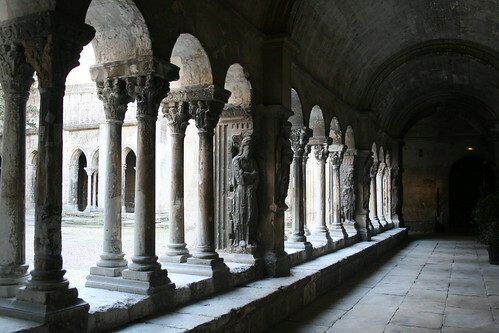 The cloister above, for instance, is part of the Church of St. Trophime that was constructed between the 12th and 15th centuries. Quite a lot of history packed into such a small place!